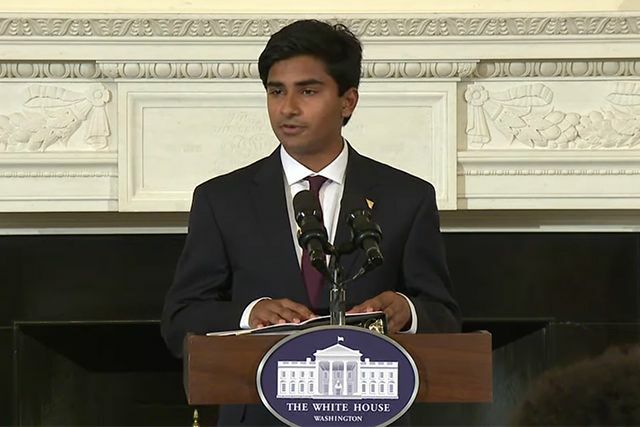 On Thursday, September 8, 2016, Gopal Raman ’17 was officially appointed as one of five members of the Class of 2016 National Student Poets during a special ceremony in the State Dining Room of the White House. 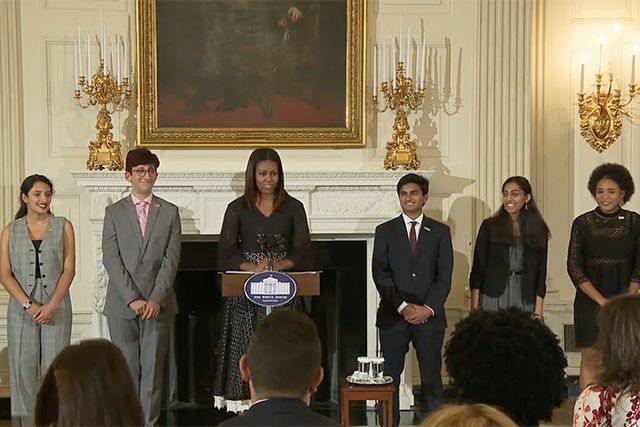 First Lady Michelle Obama personally presided over the ceremony and praised the young poets for their courage and art. Following Mrs. Obama’s remarks, the five Student Poets read samples of their work. Gopal read his poem “August 23, 2005,” which is printed below. As a National Student Poet, Gopal was selected from a pool of more than 20,500 submissions. 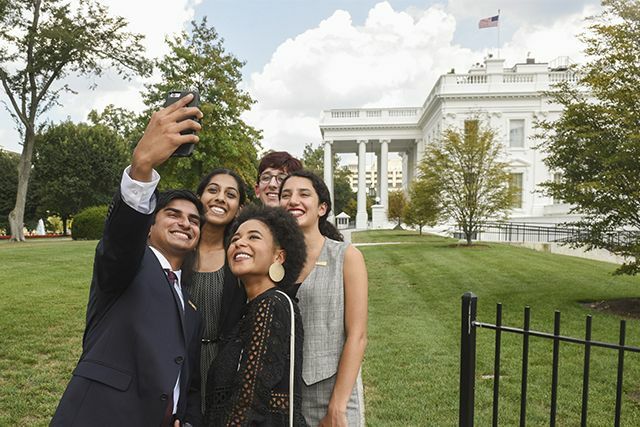 From there, 1,000 submissions earned Gold Keys, qualifying them for national judging; 200 earned National Silver and Gold Medals for Poetry, qualifying them for the National Student Poets Program; 34 semi-finalists earned top consideration by National Student Poets Program Jurors; and 5 finalists were chosen to be 2016 National Student Poets, with Gopal representing the Southwest region of the United States. "Gopal is a remarkably gifted writer whose passion for language has led him from the classroom to the White House," said Lynne Weber, Trustee Master Teaching Chair in Humanities and Gopal's English Literature & Composition teacher. "The fact that his poems were chosen for recognition among thousands of entries is a testament to his talent and dedication. 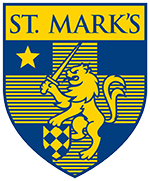 St. Mark’s can be justifiably proud to have such a distinguished young writer in our midst." The National Student Poets Program is presented by The President’s Committee on the Arts and the Humanities, the Institute of Museum and Library Services, and the Alliance for Young Artists & Writers. Video of the White House ceremony is available to watch online here. Gopal was also interviewed on Fox 4's Good Day on Monday, September 12.
and think of the fruit.